Friends in Christ, today our parish celebrates our Patronal Feast, the feast of St. Jean-Marie Vianney. 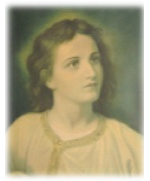 We have heard this past week various priests here each evening, speaking about our patron. It has been good to see so many people coming to the Novena Masses, to obtain a special grace from God in these days. St. John Vianney, began as a pastor of a tiny, uninteresting church in Ars, France. Ars itself was a town of a mere 230 people. Upon his arrival, he saw that the church was a dilapidated mess, and filthy. He began himself to clean it. He would clean the church, but he wished even more, to clean hearts, the souls of the people. The people in Ars were not hostile to the Faith, He would have preferred that; what he found, was complete apathy and indifference. 19 years after the end of the French Revolution, when ½ the priests in France had disappeared, and thousands of heads cut off – the persecutions and the hatred of God – after all that, well, France was spiritually dead. Nobody there, except a handful of people cared at all whether a priest came to their village, or said Mass. The town’s fame for dances and drunkenness was widespread. People came from miles around, even on Sundays, to join with the townspeople in their carousing, and to go wild in the four taverns there. The people would say, ‘this village is too small to have a church,’ but yet – there were 4 saloons! People did not go to Mass on Sundays and even worked on that day. St. John was not there long, when he came across a drunk man who was swearing up a storm. ‘My child, he said, ‘you are an animal.’ Indeed, people without God become animals, and those people had been without God for some time. As St. John preached, and prayed for his people, and fasted; little by little, people were not so comfortable in their sins. A small group at first, wished to learn about God. Some youth came to pray the Rosary. Improving morals led to the two taverns nearest the Church closing for lack of business; although 7 new ones appeared, eventually each of them had to close as well. [i] A group tried to slander their priest to make him stop, telling evil stories about him to malign his character, but in the end, people began to change. The love of God had gained a foothold in Ars. Later, more victories, confessions increased – Not only that town,[ii] but pilgrims came from other towns, to go to confession and to seek his advice. They came by the thousands: pilgrims brought other pilgrims, converts brought unbelievers. From every province of France, from beyond France and even overseas they came. The poor began it, the middle class followed, and soon the intellectual world was drawn to Ars. The great preacher Lacordaire came from the Cathedral of Notre Dame to learn from this parish priest. Special trains had to be run for pilgrims, and through it all, as Henri Gheon says, ‘the people of France awoke one day to the rumor of an incredible thing: ‘France had a saint.’ They had thought that France was done with saints, but not so, and even miracles were happening. St. John Vianney was part of a wonderful revival of religion which took place in France. 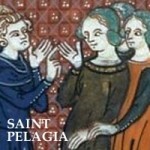 In the wake of this saint, love of God began to blossom in that country. Numerous religious orders came to life again, often under the guidance of simple priests or humble women. After the Faith had seemed entirely wiped out in 1800, the new century would bring hundreds of religious congregations, missionaries pouring out into the world, and dozens of saints. St. John Vianney, St. Andrew Fournet, St. Peter Chanel, Blessed Julia Billiart, St. Rose Duchesne, St. Simeon Berneux, Saint Peter Eymard, Catherine Laboure, Therese of Liseux, St. Bernedette and dozens more. Like John Vianney, we must never underestimate the capacity of one Christian’s life to affect the world. All of these religious orders, missionaries and saints that followed St. John, these are merely the results, the fruit, of ordinary Christians beginning to really live for Jesus Christ. Our world is not as bad off as France, of 1800; to be sure, we have powerful forces against the faith – but if we follow the teachings of our Patron, who knows? The next century here could be a blossoming of faith. Such a thing however, is not accomplished by superficial Catholicism, or with lukewarm Catholics. It is by praying every day: morning, night, and at meals. regular confession, well-prepared Communions – or no Communion – honesty, truthfulness, purity in body and speech, sobriety, faithfulness to Sunday Mass and to the Church. If the corrupt village of Ars can change, so can our world – God is counting on you, on each of us individually. When people are hiking and they wish to drink water that they find, there is a tablet, which when put into the water, makes it pure. Well, we are supposed to be like that, purifying everyone we touch by our holy lives. ‘She will be cured, said the Lady, but not yet.’ Miss Durie could stand it no longer and pushed open the door. ‘What to my surprise, she said, was to see standing by the fireplace a beautiful lady of average height, dressed in white with gold roses and a crown of stars shining like the sun.’ I was astounded as I saw her kind smile. ‘O Mother, I said, the time is now, take me now.’ ‘Later, she said. You will always be my child and I shall always be your mother,’ and with these words she vanished. ‘Who is she,’ she asked St. John, ‘I thought it was the Blessed Virgin.’ ‘And you would not be wrong,’ he said. [i] Butler’s Lives of the Saints, new one. [ii] Gheon, p. 129 on. [iii] Gheon, p. 219 on.